Three days ago T-Mobile MVNO Lycamobile ended the promotional pricing on their monthly plans, which meant a $10/month price increase on all plans or old and new users alike. I don't know if they got a lot of cancellations and complaints or what but they seemed to have rolled back almost half of the increase. The main Lycamobile.us Plans page is still showing the new higher prices which start at $29/month. But when you click "Buy online now" link it takes you to the "Recharge" page (image above) which shows prices that are $4/month less. In other Lycamobile news, users on HowardForums have found a couple of undocumented bonus features with the T-Mobile MVNO. Shortly after Lyca launch users found that incoming texts are free on the pay as you go plan. Texts are still free and today a user posted that they were not charged for calls to 800 numbers and other toll-free numbers. I don't know if this is a bug or intentional but all other US mobile operators charge for calls to these numbers. Lycamobile also seems to have fixed the bug with the *185# code that's supposed to let you disable voice mail. The code has been listed on the Lycamobile help page since launch but until now it hasn't worked. Now it does. The ability to turn off voicemail is helpful if you are using Google Voice or another 3rd party voicemail service as the carrier voicemail tends to answer calls before Google Voice, etc., making the alternate voice mail service useless. Would you really trust a Company that looks like they have no clue what they are doing?? Has anyone used lyca and been charged for incomming texts on pay as you go? Just want to make sure its not a glitch with a few people. Can I bring a prepaid t mobile phone? Or does it need unlocked? Also , is it true that top ups are good for a year? I have not heard of anyone being charged for incoming texts on Lyca. T-Mobile phones must be unlocked to use them on Lyca. 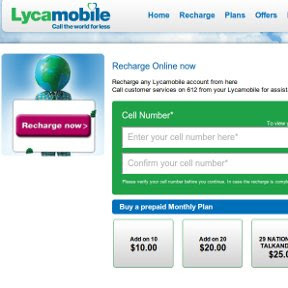 According to the Lyca site top ups don't expire provided you make a call, send a text or use some data at least every 120 days. I haven't topped up since March 29th, 94+ days so far and no problems. 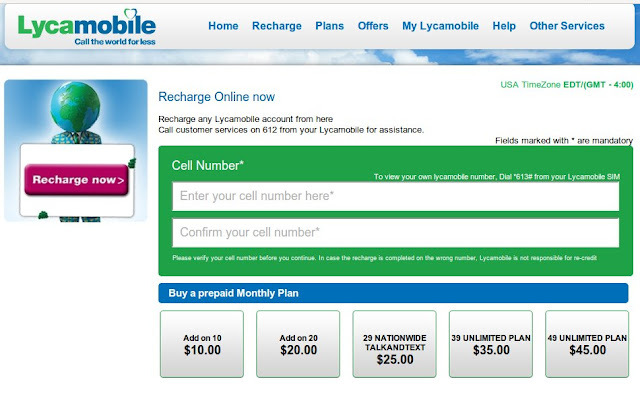 Lycamobile seems to be notorious for "lets make things up as we go along" rates and promotions. This new rate has no indication whatsoever if it is permanent or another one of the bait and switch promos. How dumb that they do not even have it updated on their plans page. Customers are left to play a guessing game other than already renewing the $29/month plan and then finding out. This makes one want to cancel service. A prerequisite for being a customer for Lycamobile is being a mind reader. Additionally their CS is one of the worst I have encountered as well. There is no such thing as a "permanent" price from any company that provides a service. No one expects including me expects it. It is just that Lyca has changed it so frequently it is absolutely ridiculous. The role back on Lyca unlimited monthly plans are $4 and not $5. Your right. I've corrected the post. Good prices. Not so great of a network in my area - Metro Detroit, but still a decent price considering. Is there now a 90 day refill requirement on the pay go version? Correct there's no minimum top up with Lyca, but you have to have a chargeable event (call,outgoing text or data use) at least every 120 days to keep the account active. I don't think they understand the US market being from the EU/Uk. so they do things Euro style. No harm as long as its good (free incoming texts/toll free numbers, no topups to extend dates) but to me they do have a few glaring weaknesses. Instability for one on prices and no mms. Cs is faster if not much better but porting still appears hit and miss on reasonable time schedules. I had a very good experience activating my account. I enrolled in the $16 plan and I get unlimited messages. I don't know whats the big deal with the CS since you can activate the SIM card and manage your account from the phone and online. Something different is that in order to receive internet it have to be in roaming, but its ok, its just the way they deliver internet to your phone. So far, so good. I got a threshold limit reached message when I tried to recharge our lycamobile few days ago using the $25 for $29 plan. I was able to add money directly without discount and recharge by deducting $29 from main bal. It appears the deal is only for first time purchases. When I try to recharge my lyca sim online, it shows "Threshold limit reached". What is this? how to recharge my sim through lyca??? I don't know what the error means, most likely a Lycamobile site issue. You could call Lycamobile but it might be easier to use Callingmart to add money to your account. I am trying to do a data bundle top-up of £5 because my data allowance is about to end, and I'm getting "Threshold limit reached" error message. I tried clearing the browser cache, restarted the browser, but still the same message.